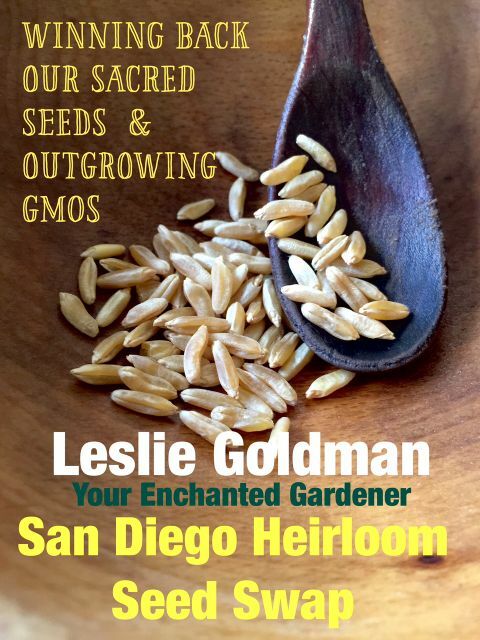 "Winning Back Our Sacred Seeds and in doing so, Outgrowing GMOs" is a given as more and more #RareSeeds discover the enchantment of growing rare heirloom seeds even in a single pot.This is among the tips you will find in this article written for the San Diego Life Connection Magazine, that suggests a few simple beginner plants you can start growing now. 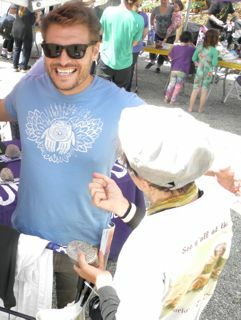 I gave a talk May 23 at the March on Monsanto San Diego. It was well received, This article was inspired by that talk. This #PlantYourDreamBlog shares basic graphics and information you can use to Plant Your Dream. 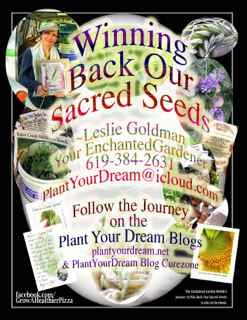 This material was developed by Leslie Goldman, Your Enchanted Gardener over a period of 30 years as a way to help you express your nature as a #SacredSeed. Through connecting intentions with the growing of Seeds, we are helping regenerate our life through Enchanted Gardening practices. Please be in touch if you would like personal support to Plant Your Dream. I can be reached through my Facebook Page most easily. I will send you my contact information. There are two primary #PlantYourDreamBlog sites. My daily #PlantYourDreamBlog is on Curezone, one of the top sources for health information on the internet. I am the Number One Blogger on Curezone and write frequently here. My other #PlantYourDreamBlog Site is at Http://www.plantyourdream.net. This is my Sponsor Appreciation site. The Ads on the pages are my sponsors. You can also contribute here to Join the Enchanted Garden Club, my International Network. The Campaign to Grow A Healthier Campaign to Grow A healthier Campaign to Grow A healthier Pizza. Hashtag #napc stands for the North American Permaculture Convergence. This event was a few days following #HeirloomExpo, The National Heirloom Expo. The next event is September 5-7, 2017, Santa Rosa, at the Sonoma Fairgrounds. I co-led a Closing Ceremony that had a rain emphasis. My part was setting up an Altar where Dreams that had been symbolically growing in a Pot were watered with San Diego rain water from the previous season. Participants received the Baker Creek Enchanted Garden Winning Back Sacred Seed Starter Kit containing Ancient ceremonial grains of KAMUT (R) wheat. The temperature was in the 90's in both Hopland and San Diego on that day. The two days following the Closing Ceremony, there were thunderstorms and rainfall in San Diego. I have found an unusual correlation between planting intentions for dreams with seeds-- #PlantYourDream-- and the coming of rain. 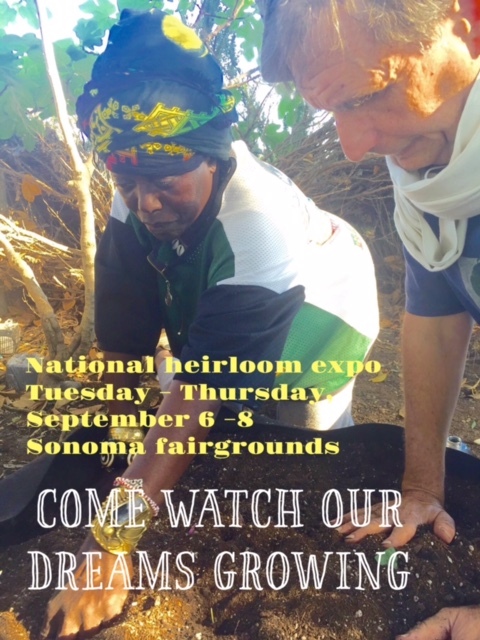 The National Heirloom Exposition happens on Tuesday-Wednesday-Thursday, September 5-7, 2017. Don't miss periodic inspirations from #YourEnchantedGardener on Berry Wynn's music stage , featuring the best in old time country music and improv. Time for the brotherhood and sisterhood of Abraham to acknowledge their kinship so the drought ends in our lives . 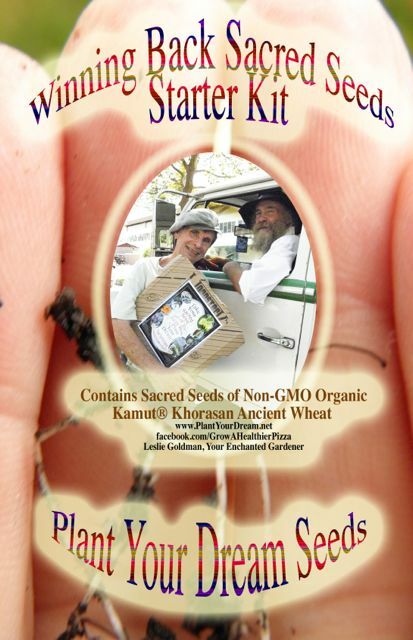 Grow The winning back your sacred seed starter kit produced by the enchanted Garden and Baker Creek heirloom seeds @RareSeeds. The WInning Back Our Sacred Seeds Starter Kit. 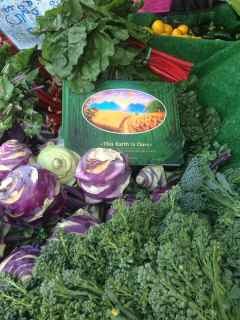 Donated by Kamut International and Baker Creek Heirloom Seeds. MAKE COMMENTS HERE ON THE LIFE CONNECTION EDITION OF THIS STORY. More and more people today are becoming aware of ill effects from GMOs. I believe GMOs--Genetically Modified Organisms-- are made through invasive cell technology that does not belong in our seed supply, food supply, or in our body. GMOs were released without asking and without bona fide testing to make a buck. Our economy cannot improve if our agricultural system uses GMOs. In Medicine & Ag, their safety is accepted by Government, and Biotechnology would like them to become the status quo. GMOs are an attempt to beat the natural system. More than GMOs, we need a Grass Roots Organic Uprising standing up for Nature's Original technology--N.O.T. We have lost our beat with nature. Learning to grow seeds, we can get our beat with nature back. Our kids have been sold out to the profit motive. Eating habits are taught by popular media, advertising, and in school. Some food manufacturers, going back 100 years, knew no better than to make a living off of our living. We the People, our offspring, and the ideal of sacred government are bankrupt from bought- and-paid for popular culture divorced from soul and nature. GMOs are a symptom of the need for Food Reform. Help out! Join Campaign to Grow A Healthier Pizza. and The Enchanted Garden Mobile's Journey to Win Back Our Sacred Seeds. 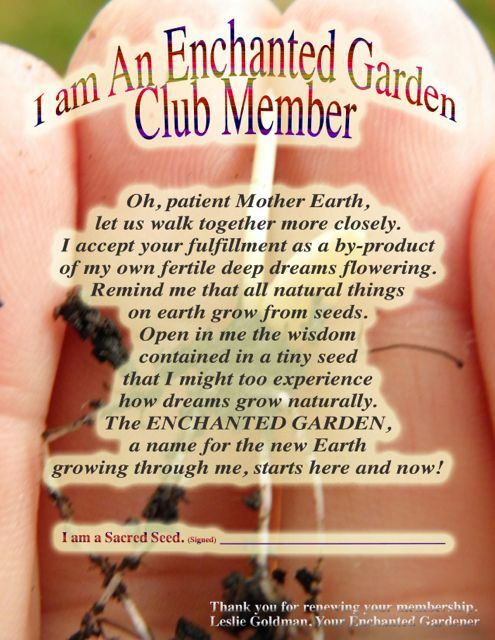 To support my mission to Win Back Our Sacred Seeds become an Enchanted Garden Club Member. Winning Back Our Own Sacred Seed means "Plant Your Dream" as much as "Marching Against" what isn't working. There is so much to fight for, march against, get angry about; and yet, we need to stand up for the end result we want, a world that accepts we are ALL-ONE Love, growing in the same pot on Spaceship Earth, so Plant Your Dream! 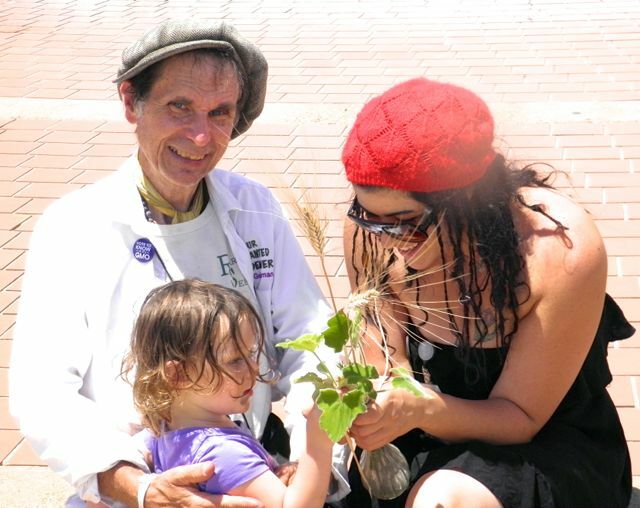 Lavonne Mireles Clardy, her daughter Tesla, and me, Leslie after March Against Monsanto May 23, 2015. Kids Love Nature. They are in awe of seeds. Youth, the holders of our future, develop by the same laws that govern plants. We grow plant-like. “Rare Seeds” and Heirloom Seeds I call "Sacred Seeds." Baker Creek Heirloom Seed Company uses the hastag @RareSeeds to describe their Heirloom Seed Collection. I use this term #RareSeeds metaphorically to apply to humans who are living their soul purpose. 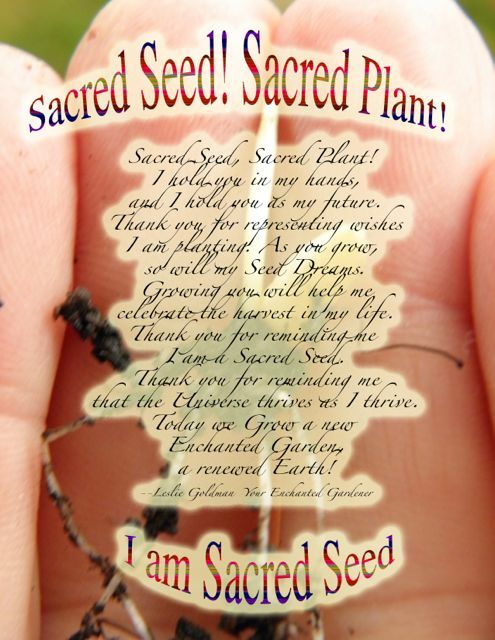 I consider “Rare Seeds” and Heirloom seeds to be "Sacred Seeds." 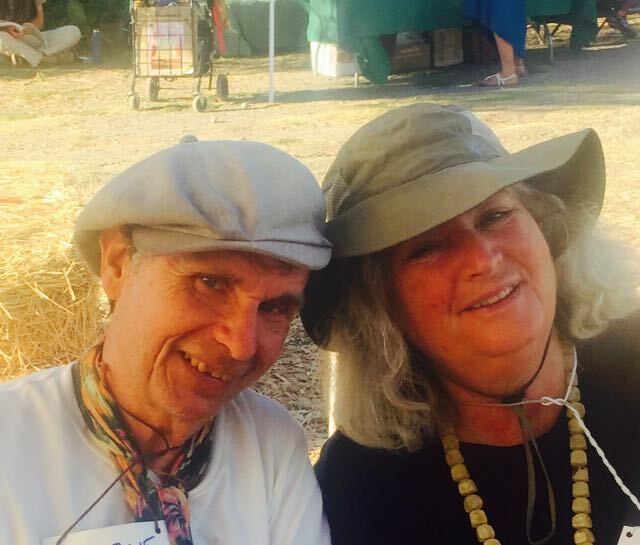 My mission now is to alert Rare Seeds, individuals living out their soul purpose to the great power that comes from growing original heirloom seeds; they are more popular now thanks to The National Heirloom Expo @heirloomexpo. Sept 8-10 in Santa Rosa, CA. 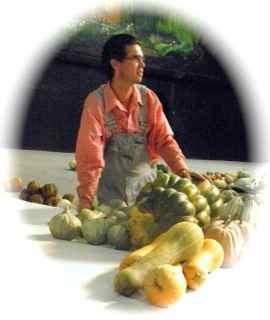 Jere Gettle, Founder of Baker Creek Heirloom Seed Company, epitomizes #RareSeeds Among us. At Age 17, about 17 years ago, he saw @RareSeeds disappearing and did something about it. The Baker Creek collection has inspired 1000's of gardeners. Take Your Sacred Seed Out of the Pizza Box and Plant Your Dream! Butterfly Farms Vista, CA, May 16. His company is saving rain forests. Many dreams today are stuck in manufactured Pizza Boxes. My props include repurposed pizza boxes, a Silver Box and a pot of soil. Inside the silver box are seeds. I ask, what is your deepest dream doing in this beautiful box? The seeds represent your dreams. Please take your Sacred Rare Seed out of the Box. Say the dream out loud or to yourself. Then plant them with intention in the pot. Incredible Connection exists between Growing Seeds and the Harvest of Our Dreams. Spaceship Earth is the Enchanted Garden. You are its gardener. Gurdeep Stephens wrote, "The Earth is Ours." I agree. Planet Earth is Taking Organic Steps Now to Thrive Again Through You. Our beloved earth grows as we each grow, as we become again the caretakers of our Own Rare Seed Sacred Seed Nature. Winning back our own Sacred Seed is a spiritual exercise in self knowledge and Soul growth. Thank you for being a Rare Seed in the World. Earth recovery asks Rare Seeds on the heroic journey to turn breakdowns and loss into Soul level breakthroughs, to make course corrections, to keep faith, to grow the Enchanted Garden. 1000 years of peace will be our harvest as 1000s of us plant our Rare Seeds in fertile soil and inspire, through our fulfilled dreams, others to do the same. Be a Friend of Nature’s Original Technology. Be a Friend of Nature’s Original Technology. Please befriend Nature's Original Technology that grows healthy soil, air, water, and sunshine and our "Real Estate" -- our shared common wealth inheritance. Grow Seeds. Mother Earth will consider you a super ripe success, an asset in Her eyes. 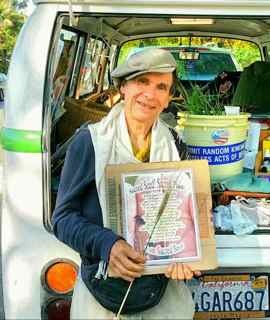 Real Wealth today is in Heirloom original Seeds and in the wisdom to grow them. Growing One Pot of Food Makes You an Enchanted Gardener! Food is Dream Food. Learn to grow food. Even growing one pot with fertile soil, fulfills our birthright. Keep a Garden Management Journal. As we re-parent plants, plants re-parent us. I call this Plant Parenthood. Keep a Garden Management Journal of your garden activity. 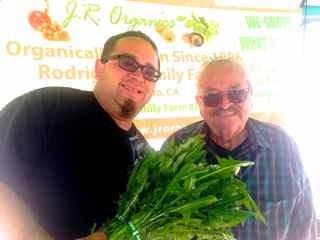 Photo of the J.R. Organics, Papa Joe and Goyo. Pay your farmer rather than pay your doctor. I recommend three plants to Jump Start your Rare Seed Nature. All three will grow in pots. 1. Grow Kamut® Khorasan wheat. This comes up quickly. The lesson: How Fast Can a Dream Grow? ~As Fast as a Blade of Grass. 2. Grow Job's Tears. The lesson: Sow in Tears, Reap in Joy. Loss comes. Keep the Faith. Goodness will return. Packets of both these seeds will be produced by Baker Creek heirloom Seed Company in the near future. 3. Keep The Beet. Eat the Beet Greens! Get a full grown organic beet from a local organic farmer. Repot it! The greens will keep growing. 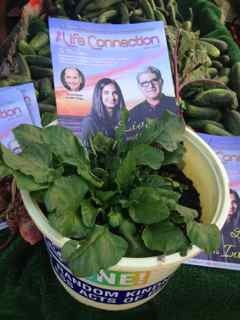 Keep The Beet visits the Hillcrest Farmers Market June 7. She was "Rooting" for The Life Connection to be distributed here. More Here. The lesson: You can grow food. For more on growing these simple plants, Keyword "Three Plants to Grow to Jump Start Your Rare Seed Nature, Plant Your Dream Blog." (L-R) Kassidy Jones, Magic Foam Experience Department; David Bronner, President Dr. Bronners, me, Leslie; and Frakie Higgins, who presented me this Dr. Bronner's Jacket. 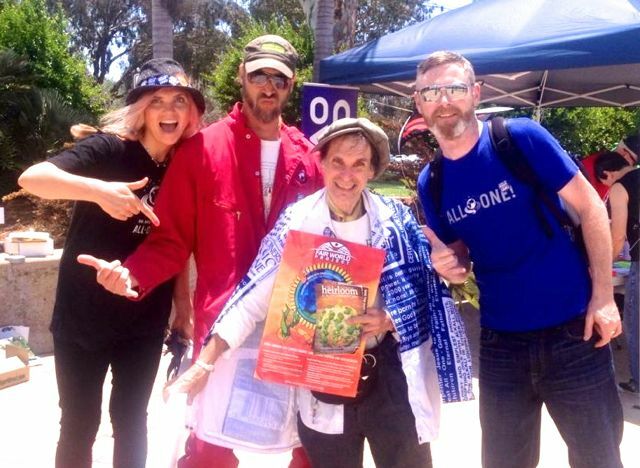 Dr. Bronner All-One is a sponsor for my Campaigns. Non-GMO, Organic & Fair Trade practices are inspired by #RareSeeds who uplift and give back. Support companies that have Rare Seeds working for them and at their helm. Growing Grass Roots means supporting #RareSeeds in Corporate Roles as well. Mother Earth Responds to All We Do. California Governor Jerry Brown called for mandatory water use cutbacks. 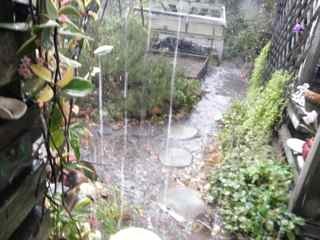 Since then, rain came no less than five times to my garden as I planted intentions. One time, rain fell one second after I planted seeds. Seeds are enchanted. Respect them. of my own fertile deep dreams flowering. a name for the new Earth growing through me, starts here and now! Heirloom seeds should be inviolate. There is already a perfect technology on Earth. My Seed Dream is that there will be a national conversation on seed saving, support for seed libraries, and GMO education. One day all public libraries will have Seed Libraries and all banks will have Seed Banks in America The Beautiful. 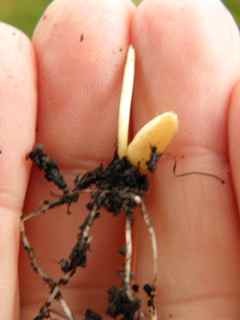 KAMUT, the Ancient wheat, I call the Prophet's wheat, will be finding a home in the living soil of Terra Madre Gardens. I Aim to drop some off this Sunday, August 21 as I'm heading out of town. My goal is to return by September 24 for the Autumn Equinox Gathering. Edmond Bordeaux Szekely, The 20th century Essene Prophet, wrote about ancient wheat as teacher. To plant this grain is to bring the Enchanted Garden teachings present. These are Essene Teachings for living in harmony with our #sacredseed nature. I would like to do a #plantyourdream ritual with any who would like to participate individually or collectively at the autumn equinox gathering.